I love this page I made today using scraps and the techniques from Noel Hyman's Design Your Story with Bits and Pieces class from True Scrap 5. It went fast - well, fast for me as I take a long time to make decisions about my pages. 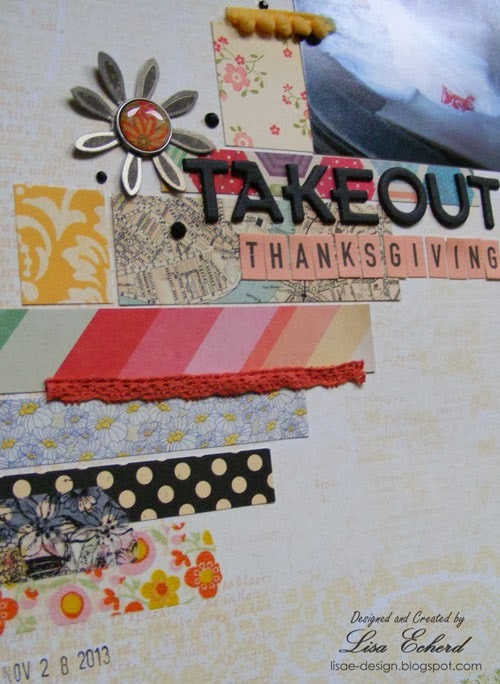 It's perfect for someone like me who likes to save their scraps. Christmas Day is the last chance to purchase True Scrap classes at $10 each. Now about the page and the story behind it. Thanksgiving did not go as planned. We didn't really have big plans, just going out to dinner as a family. However, on Tuesday both our phone and Internet went down and were out well into the week after Thanksgiving. On Wednesday night my dad called on my cell phone. He literally said, "Your mother's fallen and she can't get up." Those are dreaded words. So my husband and I rushed over to help. She had caught her foot on an end table and fell. She was bleeding and her arm was hurting badly. The trip to the emergency room revealed that she had broken her wrist. Fortunately, the orthopedist office was open on the day after Thanksgiving and we got to see the best arm/wrist specialist. He did surgery the next week and she is doing great. It's amazing how little pain she has had with this. Daddy has had some challenges, too, so we've been busy. Everyone is doing better and we are thankful. So, with Mother fairly bruised and in a cast, we didn't go out to dinner or cook on Thanksgiving but got take out instead. 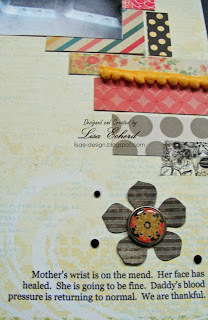 For the page, I used scraps from Crate Paper's the Pier and some old October Afternoon I just can't let go of. 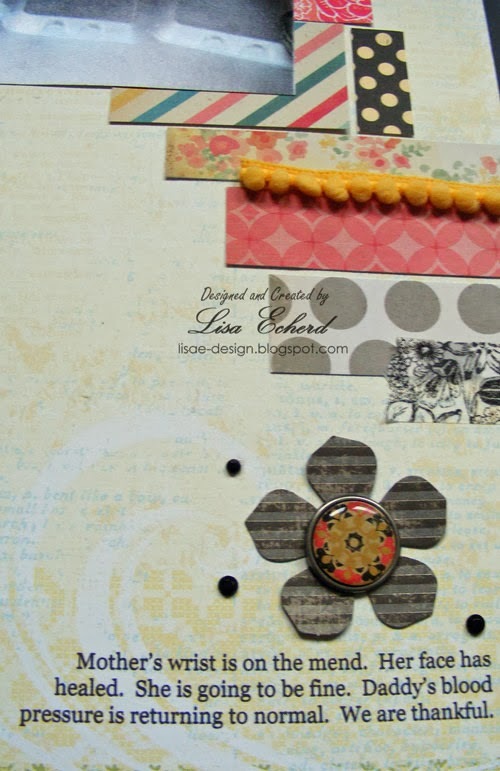 Noell's class shows you how to work with all those bits and pieces to do a quick fun page. She does 4 pages in the class and they all look completely different. 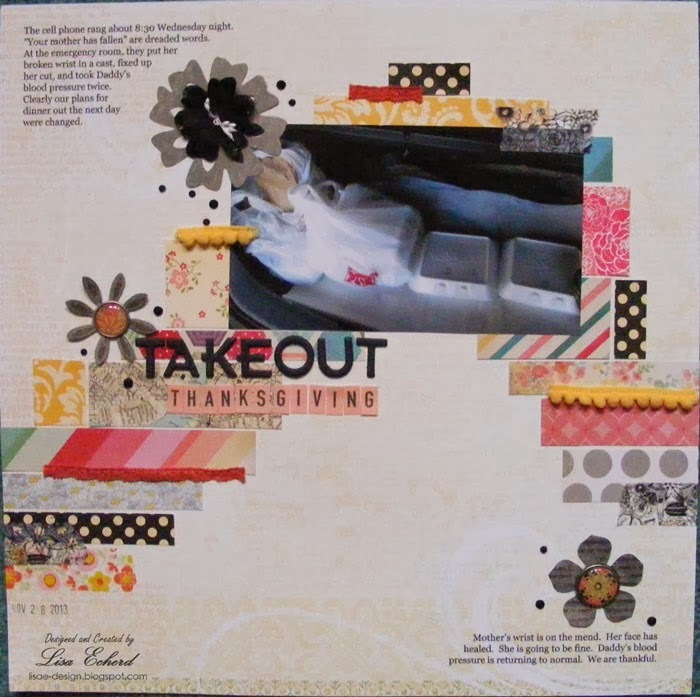 There are several other classes including one on stencils, Nichol Magourik's stamping class, photography, some fun things with 3x4 cards, and more. After Christmas, the price goes up so they are a good value at $10 each. Thanks for stopping by! We're hoping Christmas around here is less eventful than Thanksgiving. Super cute, love it! And made with scraps, fun!! This looks really interesting, thanks for sharing and beautiful layout ! Glad to know that your mother is better. This is a great page, documenting a not so great day. 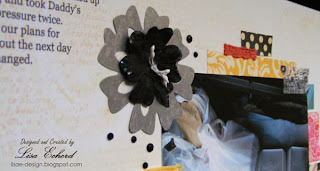 True Scrap 5 Individual Classes available!